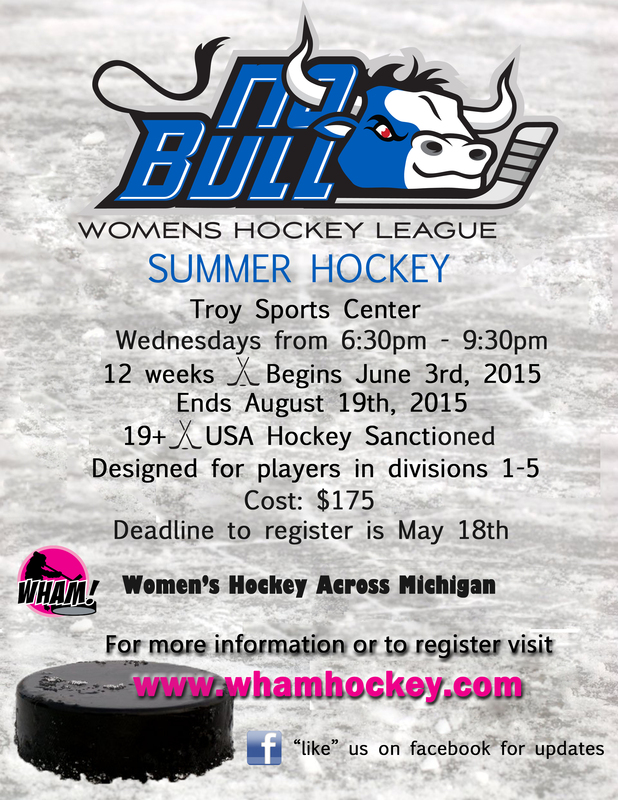 Drop In, House Leagues, Clinics and More! On Thursday, August 17th from 7p-8:20p at Kensington Valley Ice House, my girls 14U team will be hosting a Women's pre-season skills and scrimmage as a fundraiser to help us raise money for the CCM World Invite this fall. We will have a professional skills coach running the first 40 minutes and will then scrimmage for the remaining 40 minutes. PRIME TIME ice and a perfect opportunity to help a little sister out. Suggested donation is $20. Call Deb at 312-771-7744 with any questions. I'm also looking for an assistant coach if anyone would be interested. Thanks! Women’s drop-in is being offered at SIFH on the dates listed below. * The sessions are limited to 24 skaters/4 goalies (ages 18 & up) on a first come, first-served basis, full equipment is required, and admission is $10.00 (goalies are free). Please sign in and pay at the arena office prior to the skate and bring a light and a dark jersey, if possible. *We will consider allowing family members or friends that don’t meet the “18+ women only” criteria to participate; please contact Cal, Mackenzie or myself at 248-888-1400 for approval prior to the sessions. please, check with the organization or host rink before showing up to events listed below. The Michigan Co-ed Floor Hockey League is in need of players, especially women, to play in the Winter II Co-ed Floor Hockey League that runs from March 9 to May 16, 2017. Floor hockey is played in sneakers on a specifically designed court. Games are clean and friendly with respect and safety for all. There is a Tuesday and Thursday night league. One can play in one or both leagues. Individuals can sign up for $58 (based on a team of 10) or $580 per team league (for a 10 week season). People can sign up by contacting Tom Pickett directly at e-mail: tompickett44@gmail or via phone at 248-431-9724.